Dr. Kaplan is President-Elect of the American College of Emergency Physicians and national faculty for ACEP. He is Medical Director of the Studer Group and a partner and past Service Excellence Director of CEP America. 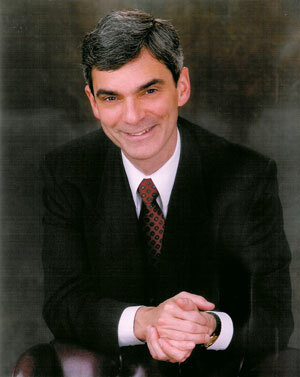 A graduate of Harvard College and Harvard Medical School, he has received many honors. In 2003 Dr. Kaplan was named ACEP’s’ Outstanding Speaker of the Year, and in 2007, Studer Group honored him with their Physician Fire Starter Award. In 2011, he was awarded the Grace Humanitarian Award by the Thomas Jefferson University Hospital Department of Emergency Medicine, and in 2014, the University of Maryland Department of Emergency Medicine honored him with an award for Outstanding Leadership in Emergency Medicine. Dr. Kaplan served as Chairman of the Department of Emergency Medicine (1985-2001) and as a Medical Staff Officer including Chief of Staff (1992-2001) at Saint Barnabas Medical Center in Livingston, NJ. As Chairman of Emergency Services for his health system (1998-2001), he led his system’s emergency departments to the 98th percentile in patient satisfaction and his own emergency department was in the > 90th percentile for 6 years in a row (1996-2001). As a national speaker and facilitator, Dr. Kaplan presents to and coaches hospital and physician leaders, medical groups, emergency departments, and individual physicians. He engages and interacts with his audience and stresses the importance of teamwork. His approach is tactical and directed toward improved outcomes. © 2019 Copyright Jay Kaplan, MD FACEP.